This smart navy pebble leather wash bag is perfect for Spring weekends away. It has a waterproof lining and can accomodate all essential toiletries. 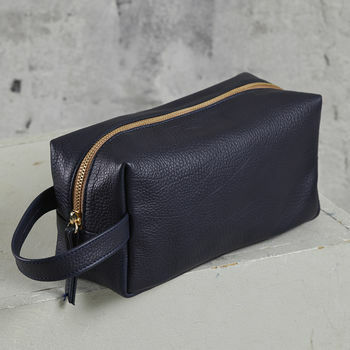 This navy leather wash bag makes a lovely gift for friends and family. The superior pebble leather weathersthrough time and use to create a unique item. It is perfect to take away on holiday, and looks smart on the bathroom shelf while still at home. A luxury we would all appreciate. A lamb's leather disc key ring is included in the price. 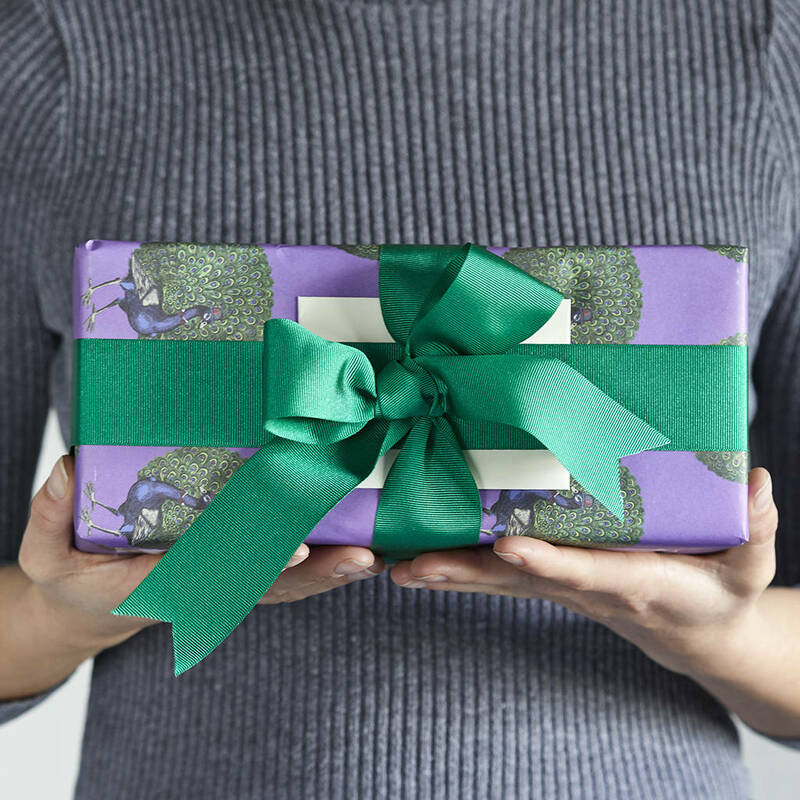 This can be personalised with up to 5 initials and then attached to the wash bag's zip clasp. The wash bag is available in navy pebble leather. 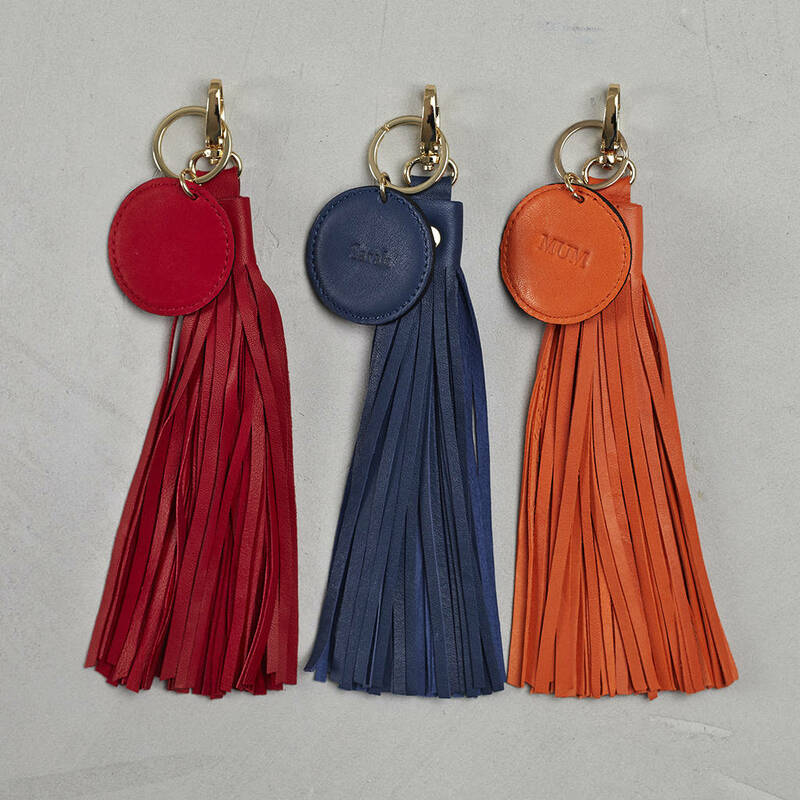 The disc key ring can be personalised with up to 5 initials.The key ring is available in red, orange and navy. Please note the key ring's smooth leather differs from the wash bag's pebble leather as pebble leather is a stronger leather and used for bags for that reason. Wash Bag made from Spanish cow pebble leather. Key ring made from Spanish lamb's leather. Approx 23cm Long, 9cm Wide and 12cm Deep.